Planning a group trip to Chicago, Illinois? Rely on GOGO Charters to provide reliable, comfortable, and efficient bus travel to your entire group. No matter what brings you to the Windy City, we’ll make sure you’re accommodated with the perfect charter bus rental for your group. Call us today at (312) 546-3925 to book your charter bus in Chicago! GOGO Charters makes it easy to book the perfect Chicago charter bus for your upcoming trip to the Windy City. No matter the size or scope of your event, you can count on us to find the best bus for your group at the best price. Whether you’re in town for a wedding, field trip, sporting event, or family reunion, we’ll make sure you’re transported with ease to every stop on your Chicago itinerary! GOGO Charters works with a nationwide network of charter bus providers to bring you a selection of the best buses in the nation. Whether you need a compact minibus, a mid-sized bus, or a full-sized motorcoach, we’re always prepared to accommodate your group’s transportation needs. On your private bus, you can enjoy premium, modern amenities such as WiFi, power outlets, televisions with DVD players, on-board restrooms, and more, many of which will be available at no additional cost to you. Keep your group comfortable as you travel through Chicago or to nearby cities such as Joliet, Milwaukee, or Indianapolis. When you book your charter bus, you’ll also be paired with an experienced driver who will ensure that you travel in safety to every stop on your trip! Without worrying about who will volunteer their car or drive your group, you can relax and enjoy your time on the road. Schedule your next corporate event in Chicago with the help of GOGO Charters! Large-scale events can quickly become hectic when attendees are left to navigate themselves around the city. Instead of having your event guests rely on public transportation or rideshare services, let us set up a private minibus to act as your event’s shuttle service. Your shuttle bus will run on your schedule and service only your group for an exclusive addition to your business event. You’ll stay on schedule with a professional driver by your side who will provide efficient rides throughout Chicago. Passengers will also enjoy premium amenities such as WiFi, power outlets, and a PA system, allowing them to get some extra work done or sit back and relax while they’re shuttled to your event. No matter how many or how few attendees you’re traveling with, count on us to book the perfect buses for your Chicago corporate event. Traveling to Chicago with a group of friends or family? Let GOGO Charters provide you with seamless private transportation through the city. While you’re here, you won’t have to worry about following a predetermined tour schedule or waiting around for public transportation or taxis. Load up your itinerary with what you want to see and let us do the rest! All you have to do is sit back and relax on your private minibus while your driver ensures that you arrive safely to every stop on your itinerary. Thinking about taking a trip out of Chicago? We’ve got you. Hop into a private charter bus and head to St. Louis to see the iconic Gateway Arch, Washington, D.C. to tour the nation’s capital, or Los Angeles to live like your favorite movie stars. With nationwide service, GOGO Charters can take you anywhere you’d like to visit. 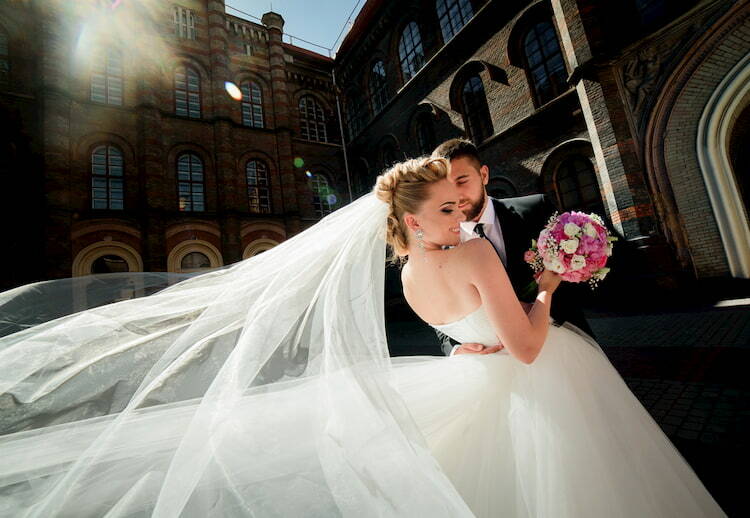 Planning your dream wedding in the Windy City? Don’t let transportation troubles be the reason your day ends up off-schedule. Book a private shuttle bus from GOGO Charters to ensure that every guest has reliable transportation through Chicago’s busy streets. We’ll send a minibus to pick up your group from your hotel and shuttle everyone between your ceremony and reception space. All guests can enjoy a private, comfortable, and safe transportation service, no matter how crazy the party gets. As the evening winds down, guests can rest assured that they’ll have a reliable ride back to their hotels. Before you say “I do,” don’t forget to book an unforgettable night out with your wedding party. Plan a bar-hop throughout Chicago, stopping at all of your favorite night club spots such as Howl at the Moon or Smartbar. Your personal driver and private minibus will be ready and waiting for you when it’s time to head out, and will make sure that you arrive to each stop safely. During your bash, everyone will be safe and secure with private Chicago transportation from GOGO Charters. Dueling piano shows and novelty bucket drinks make for a wild time at this Chicago bar. Stop by on your bar-hopping tour or reserve a room for an all-night bash with your wedding party! If you’re a fan of techno music, Smartbar is the spot for you. DJs from around the world provide unbeatable dance music for you to enjoy while you sip on your favorite beers and cocktails. This Polynesian-style bar offers flaming tiki drinks, over 200 varieties of rum, and luau-style foods for a tropical bachelorette party you’ll never forget. Multiple private and semi-private rooms are available for your choosing. 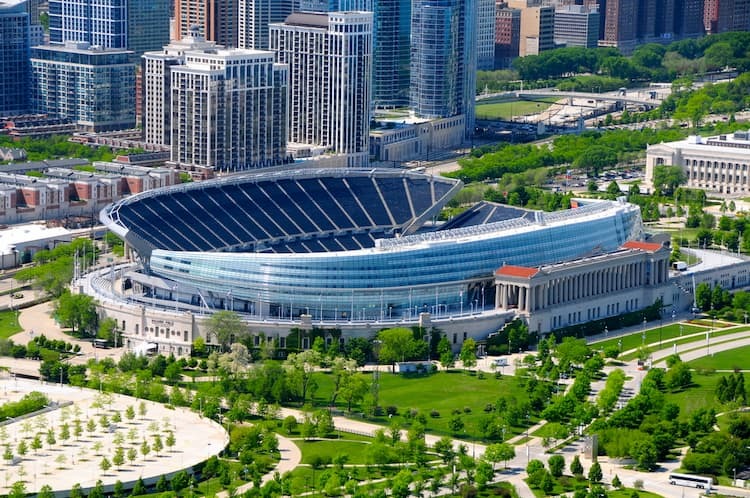 No matter who you root for, GOGO Charters has everything you need to book reliable transportation to all of your favorite Chicago sporting events. Head to Wrigley Field to cheer on the Cubs, tailgate before the next Bears match-up, or get a group together to show your support for your local minor league team. You’ll have plenty of room on your bus to store essential tailgating gear. Plus, you’ll enjoy WiFi, televisions, plush seating, and more while a private driver ensures that you travel safely to and from the next game. GOGO Charters books custom fleets for Chicago sports teams of all sizes and skill levels, from school teams to minor leagues to professional leagues. We’ll help you book a private motorcoach with plenty of space to accommodate players, coaches, staff members, and other guests. You and your players will enjoy a restful trip to your next game, offsite practice, or team-building event with reclining seats, on-board entertainment, and a personal driver at the wheel. We’ll also make sure you have plenty of storage space on your bus to keep equipment, luggage, and other game essentials securely stowed away for a clean, clutter-free bus. Heading out to the Windy City with a group of students? Don’t rely on an old, uncomfortable school bus to transport your students around town. Instead, book a private charter bus to provide comfortable and safe travels for students, chaperones, and faculty members to Chicago’s best field trip stops. We’ll pair your group with a professional driver who’s just as dedicated to your students’ safety as you are, and who will ensure that you arrive on time to every stop on your Chicago itinerary. We’ll handle parking and navigating while you focus on creating an educational trip for your students! Choosing a college can be overwhelming; that’s why we aim to help make the college touring process simple and free of stress. If you’re planning college tours in Chicago, allow us to provide transportation for your group of high-school seniors as they prepare to choose their future homes! We’ll match you with a private minibus and a professional driver to ensure that you arrive to tours right on time. Once your tours are finished, load up an itinerary with Chicago’s best restaurants and attractions to get a feel for the city before settling on a school. Wherever your college tour takes you, we’ll make sure you can enjoy the experience without stressing about transportation. Chicago’s 8-block Magnificent Mile is filled to the brim with luxury boutiques, mega department stores, and world-class restaurants sure to make any group feel just a little bit fancier. 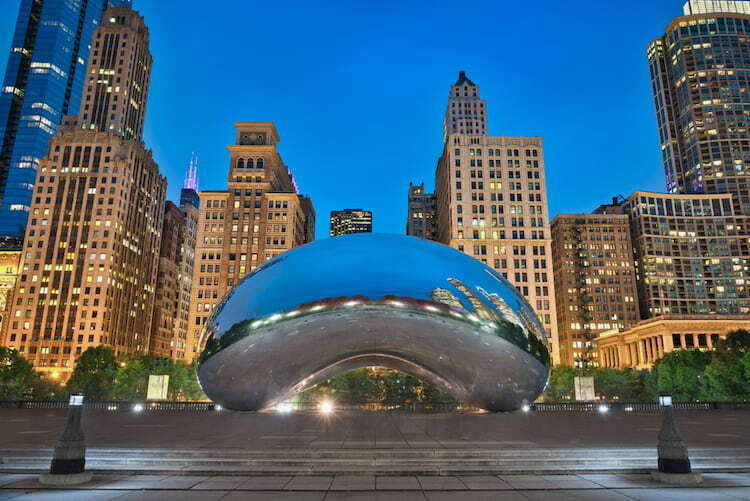 However, among the luxurious shopping and dining spots, you’ll also find a few Chicago icons that are central to the city’s culture and history, including the Wrigley Building, the John Hancock Center, and the Historic Water Tower, which serves as a symbolic reminder of rebirth following the Great Chicago Fire of 1871. Wake up with a cup of gourmet coffee or cap your day off at a classy nightclub at any of Wicker Park & Bucktown’s cafes or cocktail venues, such as The Wormhole Coffee or Debonair Social Club. Live music also isn’t hard to come by in this neck of the woods, but if you’d prefer to relax and listen in the comfort of your home, you can browse through some of the neighborhood’s vintage record shops in between stops at local high-end retailers. One of the nation’s largest Chinatown neighborhoods, Chicago’s Chinatown is home to over 65,000 Chinese residents, making it the perfect place for curious visitors to try authentic Chinese cuisine and explore Chinese culture. The Chinatown Gate provides a beautiful entrance to the neighborhood, in which you can find shops, restaurants, and Chinatown Square: the largest Chinese mall in the Midwest. Andersonville’s quirky culture and diverse array of residents make it a local favorite. Here, you won’t find chain restaurants or well-known retailers; the neighborhood’s biggest appeal is its independent, locally-owned bakeries, bars, and boutiques. Stops like Hamburger Mary’s provide delicious food as well as award-winning stage shows, while Hopleaf Bar serves up craft beers sure to satisfy your group’s brewers and beer-lovers. As the name suggests, Wrigleyville houses historic Wrigley Field, home to the Chicago Cubs. Because it’s the second-oldest stadium in baseball, Wrigley Field attracts plenty of sports fans eager to watch a game or tour the inner workings of the venue. However, here, you’ll also find plenty of bars and quiet eateries that provide a nice break from the hustle and bustle, as long as there isn’t a Cubs game in progress. Nicknamed “The Bean” due to its shape, Cloud Gate is an iconic Chicago landmark that serves as one of the city’s best photo-ops. Once you’ve captured your Instagram-worthy shot, explore the rest of Millennium Park via tours, outdoor fitness gatherings, festivals, and much more. This gorgeous green space offers multiple opportunities to meet new people, hear new music, and admire beautiful architecture, all while you’re surrounded by Chicago’s stunning skyscrapers. Though it’s since lost its “tallest building in the world” status, Willis Tower (still commonly referred to as the “Sears Tower”) proudly holds the distinction of being the tallest building in the Western Hemisphere, offering breathtaking views of Chicago and beyond. Head to the 103rd floor for a look out towards the skyline. If you’re feeling adventurous, you can even step onto one of the SkyDeck’s glass ledges, which extend 4.3 feet outwards from the building, letting you float 1,353 feet above the ground. Looking for a unique event venue? Willis Tower also houses event spaces for both business and personal events, complete with unforgettable views of the Windy City skyline. At 3,300 feet long, Navy Pier houses an endless array of parks, gardens, shops, restaurants, and other attractions, all of which come together to secure its status as one of the Midwest’s top destinations. Take a ride on the Centennial Wheel, explore the Chicago Children’s Museum, or attend special events such as Labor Day Weekend’s Great American Lobster Fest. No matter your tastes or personal preferences, there’s something for you to enjoy at Navy Pier. How Much Does a Chicago Charter Bus Rental Cost? For a ballpark estimate of what you can expect to pay for a charter bus in Chicago, check out our helpful pricing guide, bearing in mind that time of year, number of passengers, and other factors will affect the price of your bus rental. When you’re ready for a detailed, personalized quote, give our team a call at 312-546-3925! We’ll provide you with a price that’s tailored to your group’s preferred itinerary and bus type. 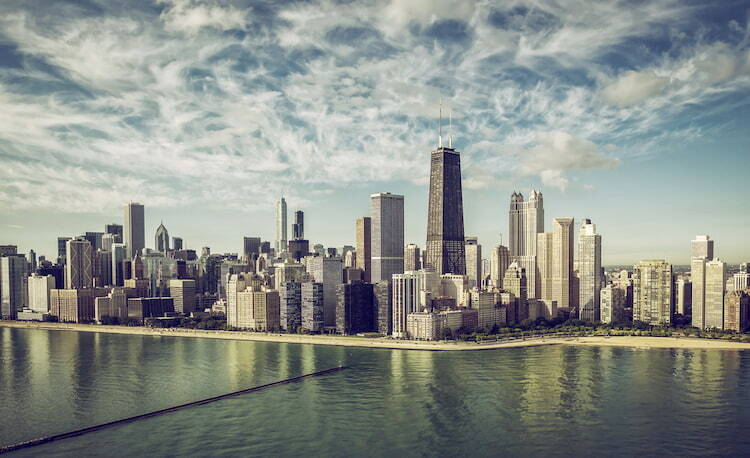 Ready to get started on your next Chicago adventure? Book your group’s transportation with GOGO Charters for an easy and stress-free trip from beginning to end. We’re always available at 312-546-3925 to reserve your perfect charter bus and answer any questions you may have about your trip. Call us today to get going! Milwaukee, Detroit, Rockford, Joliet, Peoria.